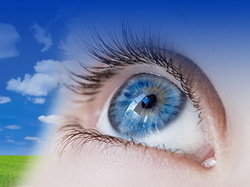 Many people with vision problems are opting for corrective eye surgery. The determinant of the type of surgery that is suitable for a patient is their health status, age, lifestyle, and the eyesight correction that they wish to have. Three types of eye surgery are the most common among these patients. These include LASIK eye surgery, Cataract eye surgery and Presbyopia surgery. The three use refractive technology that corrects the irregularities causing abnormalities in the eyes that hinder them from focussing in the right way. Most of the patients who require eye surgery opt for LASIK surgery because it is the optimal corrective procedure for vision problems with the latest advancements yielding outstanding results. According to a worldwide ten-year survey, reports indicate that LASIK surgery has the most satisfactory results rating at 95.4 %. LASIK surgery is a refractive eye surgery that is good for patients whose problems include having astigmatism, near sightedness or far sightedness. Patients who have had cataract surgery are viable candidates as long as they do not have cataract problems anymore. Most of the patients attain 20 20 vision after the procedure of LASIK eye surgery, which is good since one can live with less dependence corrective lenses. Cataract eye surgery is common since it is a modern routine procedure with many benefits for patients. It is advantageous for patients with trouble seeing low lights, problems with blurred vision, far sightedness, near sightedness, astigmatism and people with sensitive eyes towards bright light. The procedure involves removing the clouded natural lens and replacing it with an artificial and advanced lens also known as the intraocular lens (IOL). The doctors can help the patient to choose the IOL that is most suitable to correct their problem. The benefits of cataract eye surgery exceed expectations since it can address patients as old as over 60 years in age. It offers the patient clearer eyesight with brighter colours as well as freedom from dependence on glasses and contact lenses. Presbyopia occurs when the lens and muscles of the eye do not have enough flexibility and strength thus making them weak and unable to focus on objects. Most of the people who suffer from presbyopia get it due to old age, since most people have prescriptions of bifocals or reading glasses in the later years of their life. The advancements in technology have made is easy to correct the problems resulting from presbyopia and free the patient from the inconvenience of reading glasses and contact lenses. There are two types of presbyopia correction surgeries, which are dependent on the patient’s medical needs. One of them is the Presbyopia Lens Replacement surgery, which is able to correct or prevent cataracts. The other one is the LASIK Monovision surgery, which is a refractive vision correction procedure. Presbyopia surgery is an effective and reliable procedure suitable for patients with difficulty in reading the fine print or those that have trouble seeing in very bright light. Your GP or optician should be able to help you determine which form of eye surgery is best for you, and also help you to decide on the appropriate clinic for your procedure.